Also known as mobile asphalt plant, or asphalt mixer, this kind of asphalt mixing equipment is suitable for the construction and maintenance work of asphalt roads. 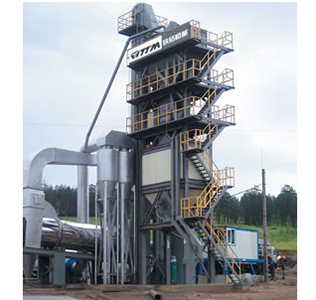 Mobile Asphalt Batching Plant Integrated design of batch type drying drum and horizontal twin-shaft mixer enables it to mix thoroughly and produce better quality finished materials. 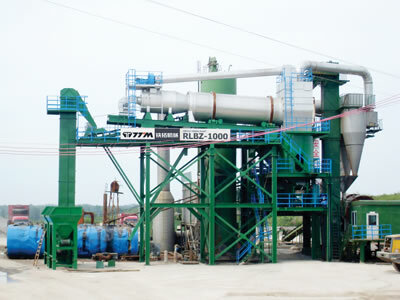 Asphalt Mixing Plant (Separated Bins for Finished Products) The installation of first-lever cyclone dust filter and second-lever water filter systems, together with negative-pressure dustproof design of the plant body, substantially save investment costs for customers due to their superior economy as well as practicality. Auxiliary Stationary RAP Recycling Plant The work for heating recycled materials (mainly refer to asphalt) is done and finished in a specialized drying drum. 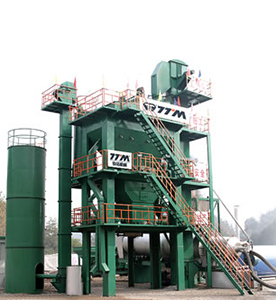 Also known as an asphalt recycling plant, or RAP recycling plant, it is mainly used for recycling the waste asphalt mixtures. 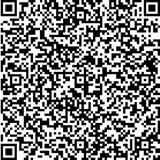 Address: Tangxi Industrial District of Luojiang,Quanzhou City,Fujian Province,China.